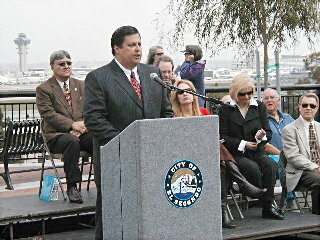 (March 6, 2004) -- El Segundo Mayor Mike Gordon, who forged an influential coalition of south bay cities that successfully blocked plans by former L.A. Mayor Richard Riordan to expand LAX, has announced that his city will formally oppose the latest LAX development plan. In a press event on a bluff overlooking Imperial Highway and LAX's southern runway, and repeatedly interrupted by roaring aircraft, Mayor Gordon said an independent analysis by a university professor indicates the LAX development plan favored by L.A. Mayor James Hahn doesn't cap passengers at 78 million per year ("million annual passengers" or "MAP") as promised...and actually allows at least 87 MAP. "LAWA [L.A. World Airports, which operates LAX] did not actually conduct a capacity analysis for Alternative D to support assertions that the plan would not exceed 78 MAP. Instead, LAWA relied on a market analysis to support its capacity limit claims...Without gate reductions and legally enforceable capacity constraints that would prevent the expansion of LAX beyond 78 MAP capacity of its existing facilities, El Segundo opposes Alternative D," Mayor Gordon said. Among those speaking were Assemblyman George Nakano (D., Torrance) and former L.A. Councilwoman Ruth Galanter. Other guests included the Mayors of Hermosa Beach, Lawndale, Manhattan Beach, Palos Verdes Estates, Mayor pro tem of Hawthorne, an aide to L.A. Councilwoman Miscikowski, a Culver City Councilman. "The expansion of LAX continues to be the number one threat to the quality of life in El Segundo and other communities and expansion undermines the region's efforts to develop a regional airport system to handle Southern California's avaiation demand. El Segundo...will continue its efforts to implement a truly regional airport plan in southern California...El Segundo will pursue all political and legal means available to us to ensure that LAX's capacity does not exceed 78 MAP capacity of its existing facilities." "A number of strategies are possible to limit the capacity to about 78 MAP...All of these would entail a reduction in the number of gates provided. The actual number of gates to be reduced depends on how they are allocated among the different design groups." The analysis notes that "it uses higher aircraft seating capacities [than the LAX Mater Plan Addendum] that are considered more realistic and reflective of the capacity of the system. The [LAX] Master Plan Addendum's figures appear to be based on market considerations rather than on the actual capacity possibilities." Pressed by reporters on what he means by a regional plan, Mayor Gordon indicated it should focus on areas seeking additional airport growth: the inland empire, Ontario and Palmdale...and indicated further that he supports the regional airport numbers proposed by the Southern California Association of Governments (SCAG). Noting that he had helped write the SCAG plan capping LAX at 78 MAP, Mayor Gordon indicated that his position is to hold LAX to its promised 78 MAP number. KFI radio: How do you guys want to make it more regional? What's the plan to use the other airports nearby? Mayor Gordon: The regional airport system is ultimatelty the answer to how we go forward as a region. When you look at the inland empire for example, you have Ontario airport, then you have three former military installations that have gone through conversion through conversion. They can be utilized: March, Norton and southern California logistics that can be utilized to handle the demand of cargo and passenger demand for the inland empire. When you look to Orange County, you find solutions in Orange County. Although El Toro's not part of that process, John Wayne [airport] continues to be. And so what we're looking for is a regional solution that allows people to fly from where they live and where they work. But to do that, it will not happen if we do not begin with constraining Los Angeles Airport, because the airlines do not want to set up multiple bases at other airports and if they believe they can still meet their demand at LAX, they will continue to fly from this airport. KCBS-TV/KCAL-TV: [One of the podium speakers] brought up the word NIMBY [Not In My Backyard], so let me ask about that. There are several thousand people who live close to the airport and suffer from the noise and the polution, but what about the interests of the millions of people who use [LAX]? Shouldn't they come first? Mayor Gordon: Well, the question for those of you that couldn't hear it is the argument dealing with NIMBYism and the millions of people that use this airport. Mark, our position very simply has been that the question for southern California on how we should handle the aviation demand of the 21st century which is projected to grow to perhaps as much as 157-165 million annual passengers, is that we should do it in a regional process, one that allows people to fly from where they live and where they work. And when you look at population and job growth in southern California, you don't see it around Los Angeles International Airport. You see it in the inland empire. You see it in Orange County. And you see it northern Los Angeles County. So the smart growth plan for southern California is to build regional airports connecting with high speed rail so the people can get to those airports without having to be in their cars and people can fly from where they live and work. It doesn't make sense to drag millions of people across a broken infrastructure system of southern California to an airport that is already glutted with congestion to simply further the goals of airline travel. LBReport.com: What do you plan to do when the SCAG regional [aviation] numbers are discussed in April? Mayor Gordon: We're well involved in the discussions with SCAG. We've been part of the [SCAG] Aviation Committee. I serve on the Aviation Committee. Ruth [Galanter, former LA Councilwoman] served on the Aviation Committee. The Mayor pro-tem serves on the [SCAG] Regional Council, and so we have representation at that body. We will work with SCAG. SCAG has already approved our resolution constraining LAX growth to 78 million [annual] passengers and to further the system for the development of the other airports, and so SCAG is in partnership with us as we go forward. Mayor Gordon: We wrote that [SCAG] plan. We instituted that plan. Mayor Gordon: We're talking about the airports that are ready and willing to expand and those that aren't willing to allow to be restrained. It's unrealistic to think we're going to get El Toro. We can't fit El Toro into the plan. You know Long Beach and Orange County airports have restrictions built on them that they grandfathered in part of the 1991 [ANCA] law so it's not realistic to think that's going to happen. Burbank's involved in a major battle to expand. So it doesn't make sense to pursue those paths. What does make sense is to grow Ontario, to grow March, to grow Norton, to grow George, airports that are willing and ready and anxious for that. LBReport.com: Do you want to stick by the numbers that [SCAG] came up with? As previously reported by LBReport.com, the SCAG plan recognizes LB Airport's legal protections (along with the LAX cap) and reflects 3.8 MAP for LB Airport when its 66 daily flight slots are filled. In May 2001, LB's City Council voted (8-1, Carroll dissenting seeking delay) to change LB's flight slot allocation rules (but stayed firm on the number of flight slots themselves) to make it easier for carriers to reserve authorized flight slots before flying them. The public was not told that JetBlue had quietly met with city officials before the vote...and shortly after the Council vote, JetBlue took all then-vacant large aircraft flight slots, filling LB's 41 daily noise budgeted slots for large aircraft. 25 flight slots per day remain for aircraft under 75,000 pounds. To accommodate the Council-invited increased flights (among the largest percentage growth anywhere in the country), LB City Hall approved installing temporary facilities without environmental review. The Council's actions generated opposition not seen since the 1980s. Facing mounting pressure from LBHUSH2, a grassroots group founded by Rae Gabelich, the Council agreed in 2002 to perform an Environmental Impact Report (EIR) before building permanent expanded terminal facilities (to replace its temporary ones). City officials have indicated that the permanent facilities being considered include a large parking structure, an ample security area and a major increase in the concession area...but have said these increases are designed to handle the 3.8 MAP expected to result when LB's 66 authorized flight slots are filled. But LBHUSH2 and impacted homeowners have voiced concern that increased capacity could invite more flights. "If you build it, they will come," has been a frequently rallying cry. The Council was scheduled to vote in December 2003 on the scope of issues to be included in the airport facilities expansion EIR...until 4th district Councilman Dennis Carroll proposed in October 2003 to first send the issue to a proposed blue ribbon panel. The Council ultimately sent the issue to another Council-approved body (its "Airport Advisory Commission") but the net effect was the same: it delayed a hot button Council airport vote until after April and June 2004 city elections in which incumbent Carroll and 8th district incumbent Rob Webb face challenges. Expressing strong dissatisfaction with Council's airport actions and other quality of life issues, Ms. Gabelich announced in December 2003 that she would challenge incumbent 8th district Councilman Rob Webb...and she is waging a vigorous campaign to unseat him. Another 8th district resident, business consultant Terry Jensen, said in summer 2003 that he planned to run against Webb and is conducting a polished campaign for the seat. A fourth candidate, Kennedy Collins, is also on the ballot. In the 4th district, Councilman Carroll faces a reelection challenge from Los Altos resident Patrick O'Donnell, Mr. O'Donnell has the support of the LB Police Officers Association. 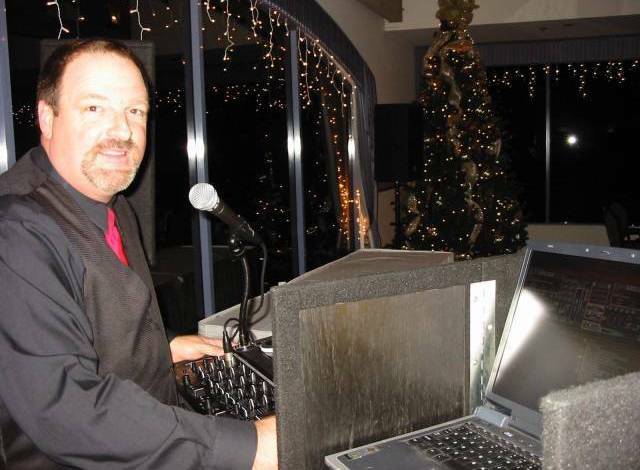 Council incumbents Carroll and Webb are both backed by the LB Area Chamber of Commerce. As previously reported by LBReport.com, in January 2004 SCAG Executive Director Mark Pisano gave a presentation to the LB City Council regarding SCAG's overall Regional Transportaion Plan...during which he extemporaneously indicated that if SCAG's plan to increase air traffic at Palmdale and Ontario airports doesn't pan out, pressure will mount on other developed airports, including Long Beach, to take additional flights. "[T]his is critical to you [in Long Beach] -- if we don't find solutions to resolve the pressure, there will be increased pressure -- notwithstanding legal protections around Long Beach today, there will be continued political pressure to use already developed airports," Mr. Pisano said. Mr. Pisano's statement bolstered concerns voiced by Ms. Gabelich and others that LB City Hall's plan to expand LB Airport's permanent facilities could invite future flights by providing infrastructure capacity that could support it. Lawn signs, distributed starting last fall by LBUSH2, now dot the 4th and 8th Council districts stating "Say No To Airport Expansion." Calling their Airport plans "enhancements," city management says its permanent facilities are planned to handle passengers from flight levels permitted under LB's noise ordinance. City Hall insists it has no plans to expand the Airport and its proposed facilities are to accommodate authorized flights, not expand them. Councilman Carroll has argued that LB's Airport Noise Ordinance, not the size of its terminal and parking facilities, is key to controlling flights...and increasing terminal and parking to accommodate passengers already permitted under the LB's Airport noise ordinance is a wise step that could help buttress LB's ordinance against any possible challenge by air carriers or the FAA and thus keep LB airport a "neighborhood airport." 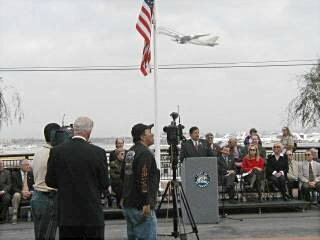 On December 23, 2003 Councilman Carroll and 5th district Councilwoman Jackie Kell agendized a request to prepare a non-binding Council resolution stating the Council's opposition to increasing Airport flights beyond levels as allowed under LB's airport noise ordinance. The resolution passed 8-0 (Lowenthal absent entire meeting). SCAG's draft Regional Transportation Plan recognizes that 3.8 million annual passengers at Long Beach Airport reflects the level provided by the city's airport ordinance. However, I take exception to a recent statement by SCAG's Executive Director at the January 13 Long Beach City Council meeting in which he indicated that if SCAG's regional airport plan does not work as planned, "there will be increased pressure -- notwithstanding legal protections around Long Beach today -- there will be continued political pressure to use already developed airports."